SMU is committed to providing an educational environment that supports students’ health and well-being while they pursue their academic and personal goals. The Live Responsibly Health and Safety website contains important information about SMU policies, procedures and resources that foster a secure environment that is free of misconduct and that upholds our community’s shared values and standards of behavior. On the site, you will find information about substance abuse and sexual misconduct, which are serious issues at universities and colleges across the country. At SMU, a permanent Presidential Commission on Substance Abuse Prevention meets regularly to assess the University’s efforts and outcomes. The Commission’s 2011-12 report and previous reports are available on the website. 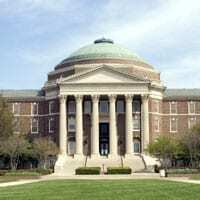 In addition, President R. Gerald Turner this fall established the Task Force on Sexual Misconduct Policies and Procedures, which is examining SMU’s programs in comparison with benchmark practices to determine if changes are needed, taking into account state and federal laws. Colleges and universities nationwide are reviewing their procedures for handling allegations of sexual misconduct in light of new guidelines issued by the federal government under Title IX of the Education Amendments of 1972. Title IX requires universities and colleges to investigate reports of sexual assault and to provide internal grievance procedures. More information about the Task Force and Title IX is on the website, as well as information about getting help in case of a sexual assault; reporting an assault to police, campus officials and confidential counselors; pursuing criminal charges and the University conduct review process; and campus and community resources that provide support and education. Because these are important, sensitive and complex issues, all community members are encouraged to familiarize themselves with these policies, procedures and resources. SMU’s 2010 tour of its nighttime lighting will begin at 7:30 p.m. Tuesday, Oct. 5, at the flagpole on the Main Quad. All interested faculty, staff and students are invited to attend. The University sponsors the tour each year to help educate campus community members about the best after-dark travel paths, as well as to look for lighting deficiencies.